Meeting Location: South Shore Guests meet at Old Koloa Sugar Mill - Koloa. For guests on East and North shores, your Concierge will advise of meeting locations and times. Tour Description. SeaFun Snorkeling is guaranteed to get you up close and personal with all of the gifts Kauai seas have to offer. Experienced or not, this adventure is perfect for kids and adults alike. Nervous about snorkeling? Not to worry - experienced snorkel guides have large, soft surfboards with handles around the edges to wash your fears away. Lawai Beach is the destination for your SeaFun Snorkel south shore excursion. This popular spot can reach depths of eight to ten feet deep (ocean conditions permitting, location may default to beautiful Anini beach located on the north shore of Kauai). These sites host butterfly fish, sturgeon fish, wrasses, puffers, turtles, and more. 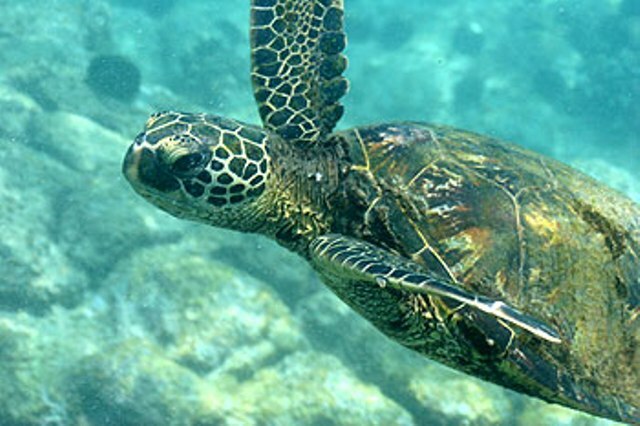 More advanced snorkelers may be guided to an area where you will be able to see the pacific green sea turtles. This is an adventure you won’t forget any time soon. What to Bring. Towel and sun screen lotion. Experienced guides take photos throughout the tour that are available for purchase back at the tour office. Restrictions: Participants must be at least 5 years of age. Our tours are not suited for people with back, neck, knee injuries, surgeries within the last 3 months, and pregnant women. Those who have respiratory and/or heart problems are not encouraged to participate in our tour. When in doubt, don’t go out. Safety is our priority.